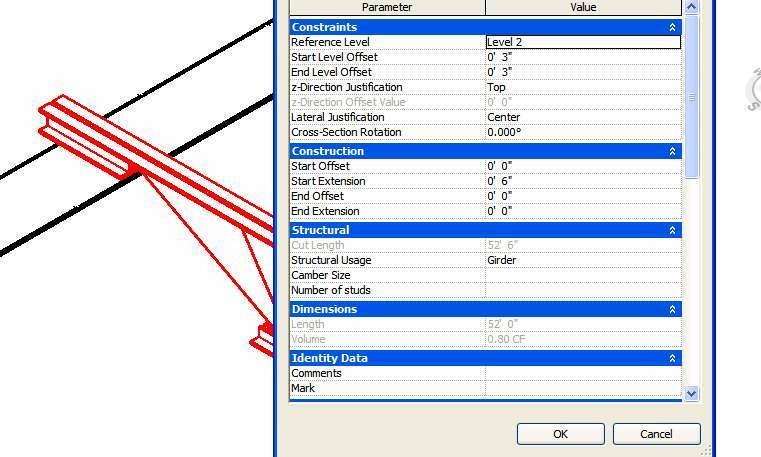 okay this one's got me stumped..
i have a joist component loaded into the project..
in the family editor it says 24 feet long..
in the project it measures 34 feet long..
now trying to make it 34' 4"..
to change its length- and can't..
ha ha- just like the revit game puzzle that it is..
can you upload the family? sounds like there's a parameter not working. begin.. can you tell me anything about it? I'm probably misunderstanding your question, but you can control the height offset and length of joists in the element properties. see that's what i mean- the length is grayed out..
i tried everything for days to get that to activate..